Can you imagine that in 10 years from now, that you could look 2 years younger than you do today? A recent study may have discovered the fountain of youth in a popular skin treatment that utilizes BBL technology, also known as IPL. PhotoFacial is a popular skin treatment that utilizes IPL (Intense Pulsed Light) technology also known as BBL (Broad Band Light). Traditionally, IPL/BBL technology has been used to treat reds (vascular) and browns (pigmented spots),but new research shows impressive anti aging benefits.The study looked at the effects that BBL treatments had on the skin over a period of nine years. They found that with continued treatments over the nine years, skin looked two years younger than it did before treatment. Many of the treatments that we use in aesthetics, benefit from skins wound healing ability to produce collagen. Although IPL/BBL treatments do cause a wound healing response that will stimulate collagen production for the first 3 weeks post treatment, it isn’t exactly long enough to account the level of anti aging results observed. So, then, why did the skin look younger? The study revealed that ongoing BBL/IPL treatments positively effected gene expression in the skin to mimic that of a younger person. Gene expression is the process by which information from a gene is used in the synthesis or form a functional gene product, usually a protein. 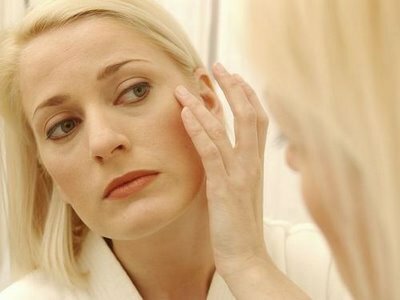 Aging is associated with changes in gene expression, which is most evident in the skin. BBL has been shown to change the expression of genes associated with aging, longevity, and increased lifespan. After 9 Years of Forever Young BBL treatments, the skin looks younger.. The protocol that we use for this treatment is more advanced and differs slightly from traditional “Photofacials”. 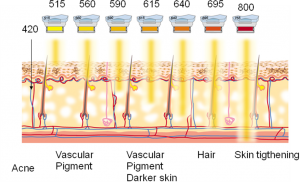 IPL/BBL devices use something we call “cut-off” filters, which are used and changed to target specific chromophores in the skin, for example the color in melanin (browns) or hemoglobin (reds). The best IPL/BBL devices are equipped with several “cut-off filters” that the technician can switch between during a treatment. With a traditional “photofacial” treatment we use these “cut-off filters” to specifically treat brown spots and reds such as broken blood vessels and we work only until we reach what we call a “clinical end point”, which basically means we have treated the targeted lesions. With this new approach we treat with multiple “cut-off filters” and make more passes over the skin than we do with a traditional IPL/BBL treatment. We are not focused solely on treating reds and browns, but also on rejuvenating the skin to act more youthful. 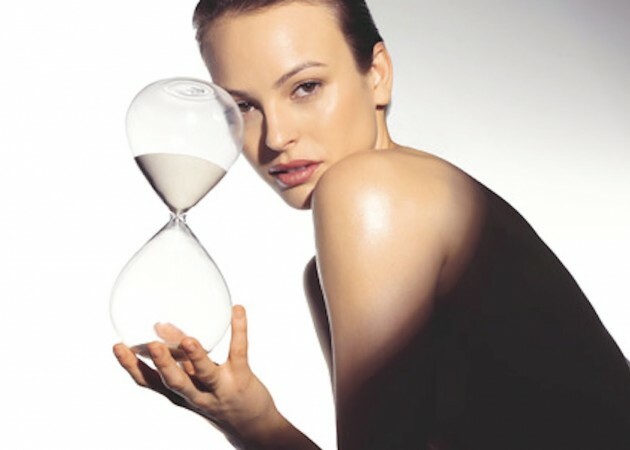 To delay aging, I generally recommend a series of 3-5 treatments, spaced 3-4 weeks a part. A treatment series should be repeated annually or biannually depending on level of improvement desired. I would like to emphasize the importance of a comprehensive approach to aging, as the aging process is multi-faceted and ongoing. Regardless of how great any treatment is, it will never replace the need for treatments that address the other aspects of aging. – One treatment does not necessarily replace the need for another. 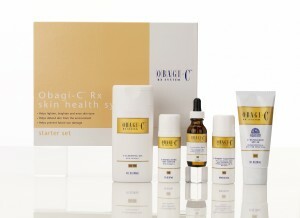 Consult with your skin care professional to determine which treatments are best for you. 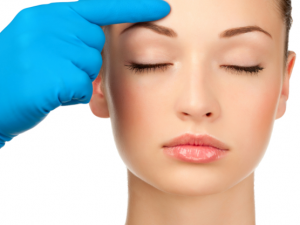 Photofacial is one of the most popular treatments for skin rejuvenation and with good reason. Photofacial can treat a variety of skin conditions including skin discolorations and redness, but with all the different light devices and treatment names being used there is a lot of confusion about this versatile treatment. What can be treated with IPL. Photofacial uses Intense Pulsed Light (IPL), which is well absorbed by chromophores that have color such as melanin and hemoglobin (think red and brown). It works best for brown spots and vascular skin conditions. IPL treatments can help stimulate collagen production, can kill acne causing bacteria and some IPL devices can also be used for hair removal. Photofacial is a photo rejuvenation treatment that uses Intense Pulsed Light (IPL) technology. Photofacial is known by many different names with a variety of spellings including: PhotoFacial, Fotofacial, FotoFacial RF, Photo-Rejuvenation, Photoderm, BBL or simply IPL. These are essentially all the same thing, however some names may be trademarked, associated with a specific device or a developed treatment protocol. Dr. Patrick Bitter, Sr. developed the procedure PotoFacialSM in 1988 and Dr. Bitter Jr., is the developer of the FotoFacial™ and PhotoFacial™. BBL is Sciton’s trademarked name for their IPL machine, which is said to be the most powerful IPL device. You do not need to be overly concerned with the name being used to describe an IPL treatment, instead focus more on the device being used and the experience of the technician performing the treatment. What device should be used for a Photofacial? Photofacial is a treatment and the devices used is Intense Pulsed Light (IPL). Some people will use an LED device and call it a Photofacial, however this is not a true Photofacial. LED devices are commonly use in spas, they have lower energy and do not produce intense light. Due to the increasing popularity of Laser and IPL treatments and the growing industry there has been an explosion of new devices on the market. Many of the new devices are less effective. As Laser Technicians we look for a device that gives us more precise control. IPL treatment settings do not work by simply turning a dial up or down. We control things such as the pulses, pulse duration, the amount of joules used and cut off filters. Devices that use a larger selection of cut-off filters are more effective because they allow for treatment of vascular and pigment lesions at different depths. In the authors opinion the best IPL devises are Scitons BBL and the Lumenis One/M22. The first treatment will generally provide significant correction, however for best results a series of treatments are recommended. The exact number of treatments will vary depending on the condition being treated, the desired patient results, how the skin responds and how compliant you are with pre and post skin care. A very generic protocol would be a series of 5 treatments scheduled 3 weeks apart, however it is better to work on a plan that is designed specifically for your skin and your lifestyle. What to expect after a Photofacial (IPL/ BBL). There generally isn’t any down time with Photofacial, however if you have a lot of sun damage you may not look great for a week or two. Immediately after your treatment your skin will be a little pink and slightly warm. It is normal for it to feel like a mild sunburn, windburn or razor burn, but if you experience an excessive or lingering heat you should communicate this to your technician. If you have brown spots they will darken up and gradually flake off over the next two weeks. Freckles tend to look darker, skin with a lot of discoloration may look “peppered” before it flakes off. If you have treated non-facial skin such as neck, chest, hands or arms it may take three weeks and some spots may take even longer. You may be able to speed up the process with a microdermabrasion 7-10 days after your treatment. Swelling and redness may also occur, you can apply cold packs to help with swelling and some people find an over the counter antihistamine helpful. It may feel hot. If the skin does not cool down quickly after treatment it is very important that you go home and apply cold cloths until it is no longer hot. Take a large, clean bowl fill it with ice, add water and put clean washcloth in the bowl. Ring out excess water and apply cold cloth to treated area. When the cloth is no longer cold, trade it out for a cold one. Continue to do this until the area is no longer hot (this could take hours). How can I improve the results of my Photofacial treatment? The most important thing you can do is follow all pre and post care instructions, this includes not tanning, avoiding heat immediately post treatment and using the recommended topical skin care. If you are treating skin discolorations you will most likely need a skin care regimen that includes tretinoin and 4% hydroquinone. If you are treating rosacea you will need a topical vitamin-C. Everyone will need an approved sun protection with Zinc Oxide, the SPF should be over 30. IPL treatments can be combined with other technologies for enhanced results. I will often use a vascular laser in my treatments for treating broken blood vessels or add Radiofrequency (RF) for skin tightening. Other possabilities include blue light for acne, laser resurfacing and laser hair removal. A microdermabrasion may be done prior to treatment to cause vaso diolation which can enhance results of an IPL treatment for those with facial reddness. If you really want to increase your results you may want to do a PhotoDynamic Therapy (PDT) treatment. PhotoDynamic Therapy uses Levulan (aminolevulinic acid) also known as ALA to photosensitize the skin prior to a photofacial Adding Levulan results in a higher level of correction of freckles, sunspots, skin discolorations, broken blood vessels and redness. You will also have the added benefit of an aggressive acne treatment and treating Actinic keratosis (AK’s). Radio frequency is not the same as laser, however it is often used in conjunction with laser treatments in a clinical setting. Radio frequency (RF) usually refers to oscillations in electrical circuits. Aesthetic treatments use non-ablative (RF) energy in short intense pulses that oscillate through the skin to heat targeted tissue. Radio frequency (RF) is often used to tighten the skin. The (RF) energy penetrates the skin and stimulates the contraction of collagen and the production of new collagen for skin tightening. Radio frequency devices use a variety of delivery systems and penatrate to varying depths. Radio frequency can be monopolar or bipolar. Bipolar devices are often combined with other types of technology such as infrared light. For the purpose of aesthetic treatments Monopolar radiofrequency is delivered by applying a single electrode to the treated area and an opposing electrode that is relatively far removed so that the current goes deeply through the body. Unipolar (RF) penetrates deeper and more intensely than bipolar( RF). Thermage uses monopolar radiofrequency (RF) energy to tighten and contour skin. For the purpose of aesthetic treatments bipolar radiofrequency is delivered by applying two closely positioned electrodes to the treated area. The electric current travels from one electrode through the tissue and back up to the other electrode, the current that goes between the electrodes is small and shallow. As a result, the tissue in the treated area is heated less deeply and less intensely than monopolar (RF). In aesthetic treatments bipolar RF is usually combined with light or energy based sources, including lasers, intense pulsed light, infrared light, or vacuum assisted. 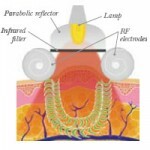 Infrared light heats the tissue down to the deep dermis and acts to “pre-heat” tissue, for improved (RF) penatration. Unlike laser and Intense Pulsed Light (IPL) energy, radio frequency is not absorbed by a specific chromophore. When RF is combined with other energy sources such as lasers and IPL, the laser or IPL energy will be absorbed by the targeted chromophore (melanin or hemoglobin), resulting in an increased temperature in the target areas. The increases in tempeture lowers the tissue impedance to those areas and the RF energy will stream preferentially to the warmer areas with lowered impedance. 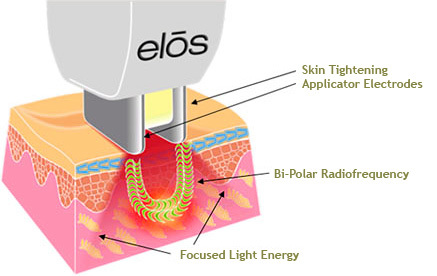 Elōs is the first and only technology that simultaneously harnesses the power of bi-polar radio frequency (RF) and optical energy. The ReFirme™ ST procedure combines safe and effective levels of infrared light and bipolar radiofrequency energies to remodel the dermal layer of the skin by stimulating new collagen growth. Bipolar radiofrequency can also be combined with negative pressure ( suction), to help improve and control the absorption of the RF energy. The tissue is suctioned into the hand-piece and the RF energy passes through. The Aluma uses a vacuum-assisted and bipolar radio-frequency (RF) handpiece for skin tightening methods. VelaShape uses a combination of Infrared light, bi-polar radio frequency (RF) and negative pressure (suction) to heat deep adipose (fat) tissue. Infrared light, tissue mobilization, and suction, all work synergistically with RF to reduce cellulite. There are many variables involved in aesthetic lasers, including the active laser medium, wavelength, and targeted chromophore. Aesthetic lasers can be ablative, non-ablative or fractional. There are also other (non-laser) technology based treatments used in aesthetics such as Intense Pulsed Light (IPL) and Radio Frequency (RF). The term “laser” originated as an acronym for Light Amplification by Stimulated Emission of Radiation. A laser generates a beam of very intense light. The light emitted by a laser is monochromatic, coherent and collimated. Collimated - the light beams travel in parallel, all are parallel to each other. The lasing medium is the source of optical gain within a laser. The Active Lasers Medium can be a solid crystal, liquid dye, gas, or semiconductors. Carbon dioxide (Co2) are gas lasers that are commonly used in aesthetic treatments. Generally, the active medium of a solid-state laser consists of a glass or crystalline material. Solid state lasers include Ruby, Aexandrite and Erbium. Semiconductor-based lasers are also in the solid state, but are considered as a separate class. 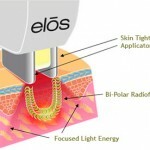 Diode is a semiconductor based laser used in aesthetic treatments. A dye laser is a laser which uses an organic dye as the lasing medium. A dye can usually be used for a much wider range of wavelengths which makes them suitable pulsed lasers. Pulsed Dye Lasers are used in aesthetic treatment. 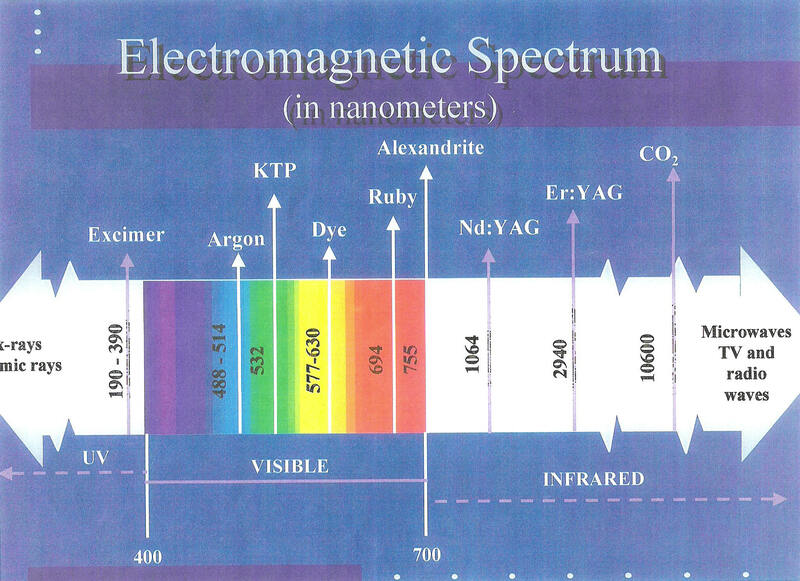 Electromagnetic spectrum is the range of all possible wavelengths and frequencies. 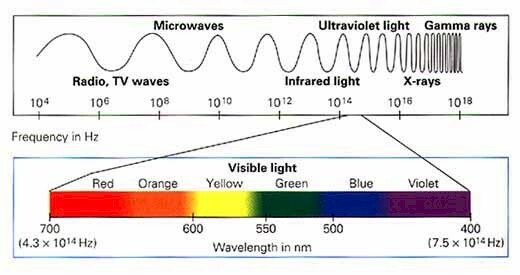 Wavelength is the distance over which the wave’s shape repeats ( peak to peak).Wavelenghths are measured in micrometers (microns) and nanometers (nm) Frequency is the number of oscillations per second, measured in hertz. Energy is the amount of joules (J/cm) delivered. A laser technician adjusts the energy of each treatment, based on factors such as skin type and condition. The laser technician can also control other factors such as spot size and the length and duration of the pulse. Lasers used in aesthetic treatments target a specific chromophore generally melanin, hemoglobin or water in the tissue. 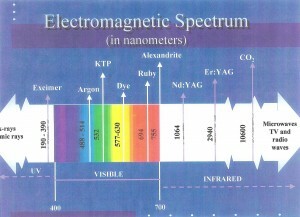 The targeted chromophore is determined by the wavelength. 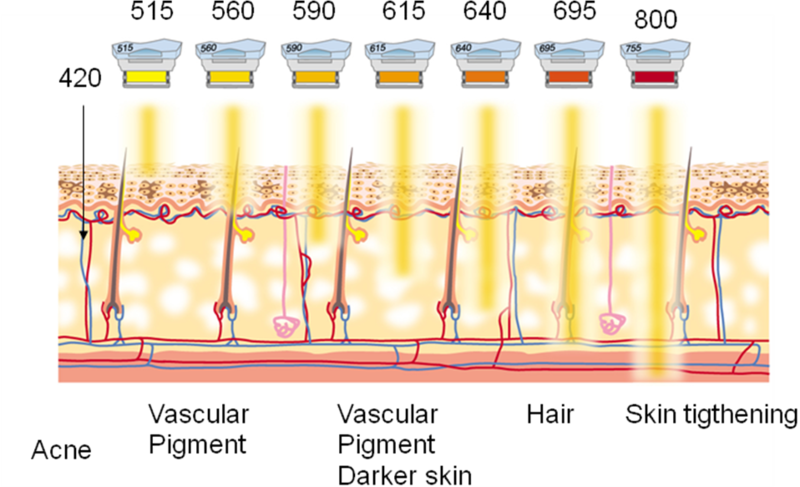 The concentration of a specific chromophore peaks at different depths in the skin. For example hemoglobin in the blood is best absorbed at a shallow wavelength and water is best absorbed at deep wavelengths. Melanin is best absorbed somewhere in the middle (500nm-1064nm), the exact depth can vary, depending on the desired target. 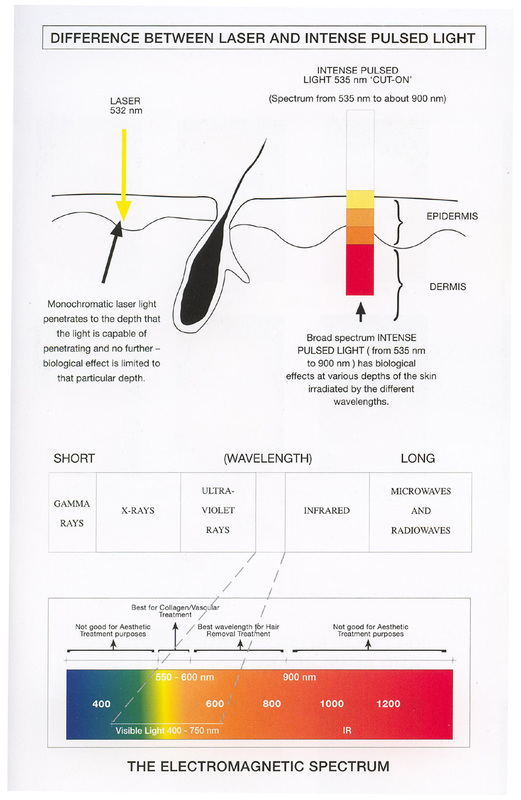 For example if you are targeting pigment in the hair follicle a deeper wavelength (640nm-1064nm) would be used, however most lasers used for hair removal are Diodes (800nm-900nm). Melanin and hemoglobin in blood vessels have color that absorbs the light emitted by specific lasers. Lasers that target color are usually used for hair removal, treating vascular issues such as rosacea and broken blood vessels, and skin discolorations such as freckels. Tanning is contraindicated with laser treatments that target color, tan skin will absorb more heat, increasing the probability of a burn. Tanning can also interfer with the desired results of treatment, because there is less contrast between the intended target and the surrounding tissue. Lasers that are used for hair removal target the color in the hair, so grey or blond hair will not respond well. (There are some lasers that claim to treat grey or light hair). Water constitutes 80% or more of soft tissue, so lasers that target water are generly used for resurfacing. Lasers with deep wavelenghts such as Co2 or erbium lasers are strongly absorbed by water. The Smoothbeam laser is a 1450nm diode laser that targets water in the skin and is used to treat acne by shrinking the oil gland. Argon 488 and 515 nm, is a gas laser that emits a blue green light which is strongly absorbed by both hemoglobin and water,used for photocoagulation. Argon lasers are rarely used for aesthetic or dermatologic treatments. KTP 532 nm, a brilliant green light well absorbed by hemoglobin and melanin used photoablation and photocoagulation. The Iredex DioLite 532 nm KTP that is Diode Pumped, it is used to treat vascular lesions and hyperpigmentation. Pulsed Dye: 577 -585nm, a yellow light that is well absorbed by hemoglobin in blood. Pulsed Dye Lasers (PDL) are especially useful for the treatment of vascular lesions, including spider veins, strawberry birthmarks and port wine stains. Ruby 694 nm, uses a synthetic ruby crystal that emits red light that is strongly absorbed by blue and black pigment, and by melanin in skin and hair. Ruby lasers are used for laser hair removal, tattoo removal and treating pigmented lesions including freckles, liver spots. Alexandrite Laser 755nm, emits a deep red light and is absorbed by melanin. Alexandrite permits deeper penetration into skin than the ruby, and is used for Laser Hair Reduction. Diode 800-900nm, emit near-infrared light. 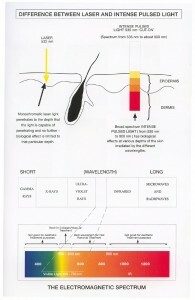 Diodes in the 800-900 nm range are absorbed by melanin and used for laser hair removal. The Smoothbeam uses a diode with a 1450nm, it targets water in the skin and is used to treat acne and build collagen. Nd:YAG 1064nm, laser emits a near infrared beam that can be absorbed by all tissue chromophores, however it is strongly absorbed by hemoglobin. Nd:YAG lasers are used for photocoagulation and photoablation, commonly used to treat broken blood vessels. Er:YAG 2940nm, emits a mid-infrared beam which has an absorption peak for water. Its used is to ablate tissue for cosmetic laser resurfacing. Also known as Erbium. CO2 10,600nm, is a gas laser emitting a mid infrared beam which is strongly absorbed by water. 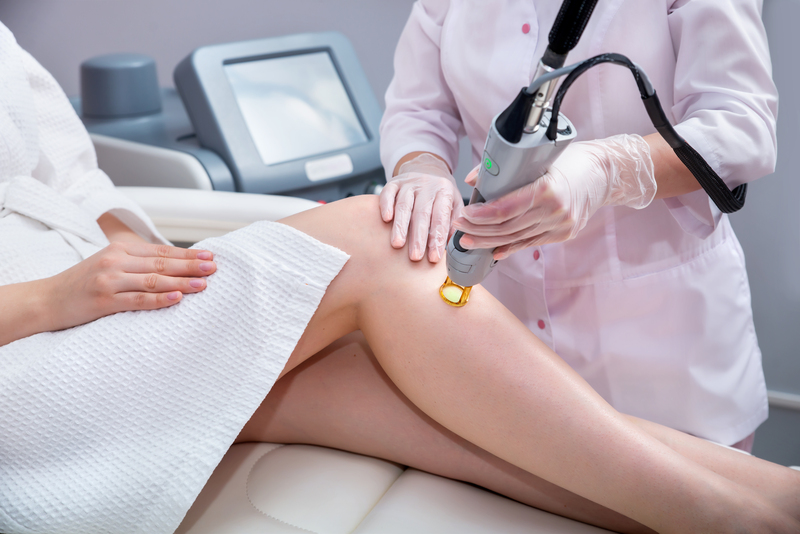 Co2 lasers are capable of cutting or vaporizing tissue, and are used for deep laser resurfacing. Non-ablative lasers heat the layers of skin beneath the surface without removing the epidermis (top layer of skin). Ablative procedures remove the epidermis. Carbon dioxide and Erbium lasers are ablative lasers used in aesthetic treatments. Ablative laser treatments are used for resurfacing, and leave skin raw. Fractional lasers can be ablative or non-ablative treatments, and target only a fraction of skin at a time, leaving the surrounding tissue intact. Sometimes a little information can be a dangerous thing. This is intended to help provide some very basic information of cosmetic / aesthetic lasers. There are many factors involved with laser aesthetic treatments and not everything can be included in this post. Aesthetic laser treatments can be complicated and should only be performed by a qualified and experienced technician. 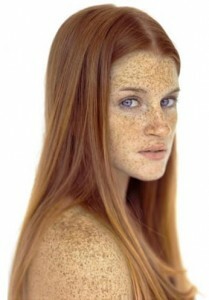 There are many people that have embraced their freckles and love them, while others would prefer spotless skin. Freckles are clusters of concentrated melanin, ranging in color from red, tan and brown. Some people have a genetic tendency to develop freckles, however sun exposure is the main cause of freckles. Freckles generally appear on sun-exposed areas, and will appear darker or more prominent after sun exposure. Ephelides is a freckle which is flat, light brown or red, and fades when protected from UV light. Ephelides are more common in those with light complexions. Liver spots (also known as sun spots and Lentigines) are freckles that develop after years of sun exposure, and are more prominent with age. The best way to remove freckles is to have a series of photofacial treatments, combined with bleaching creams containing 4% hydroquinone and tretinoin (Retin-A). A good UVA/UVB sunblock is also recommended, because UV exposure will make freckles more prominent. Photafacial (Fotofacial) uses IPL (Intense Pulse Light) to treat skin discoloration, redness and broken capillaries. There generally isn’t any down time associated with IPL treatments, however pigmented spots will appear darker temporarily. After a photofacial any freckles or pigmented lesions will darken up and flake off. It can take up to two weeks for spots to flake off. The number of treatments needed will vary depending on the skin condition. If you are not concerned with removing freckles you can use lightening and brightening products. These products brighten the skin without removing freckles. Freckles will fade slightly, but will not go away. If you love your freckles, you may want to skip the Therapy Night Cream from this system. The Therapy Night cream has a 4% hydroquinone, which will further fade freckles and pigmentation. The Clarifying Serum also has a 4% hydroquinone, however this C- serum is only used in the morning and is not enough to eliminate freckles. The Clarifying Serum is great for anyone that wants brighten their skin tone, and still keep their freckles. Brightens and lightens skin with beneficial moisturizing properties. Utilizing an innovative blend of proprietary lightening ingredients and pharmaceutical-grade botanicals, this high performance formula exfoliates, reduces inflammation, and provides strong antioxidant protection. 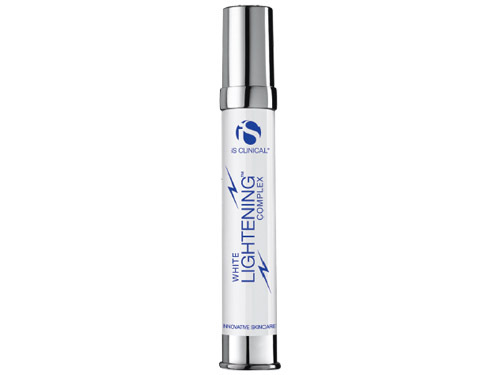 White Lightening Complex will brighten the skin, and freckles will fade, but not go away completely. To prevent freckles, you need to use a good sunblock. I recommend a UVA/ UVB sunblock with an SPF 30 or higher. I also recommend sunblocks with Zinc, because it is a broad band physical block. SPF only measure UVB protection, and even if a product is labeled to have UVA protection, it may not protect from the full UVA spectrum. Topical Vitamin C ( L- ascorbic acid) can also help prevent sun damage because it neutralizes UV radiation. You can follow us on our blog site, facebook, and twitter.